In business, cutting costs is one of the most obvious ways to increase revenue and be successful, regardless of industry. As the business world has become more competitive over the last few decades, businesses have been under intense pressure to cut costs and run as lean as possible. One way that businesses have been able to cut costs is through the use of highly precise scales. Companies using an ultra-precision scale can help a company save on formula ingredients, shipping costs and much more. These small savings can make a significant impact on a company’s bottom line. 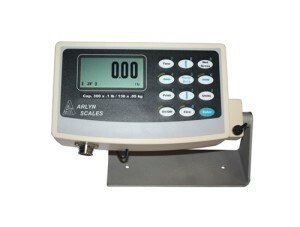 At Arlyn Scales we’ve been leaders in the weight measurement industry for over 30 years. We primarily focus on the highest level of accuracy across all industries, regardless of capacity. Our team members are constantly working on new ways to improve the technology within our scales. To fully understand how Arlyn Scales is able to deliver superior accuracy it’s important to understand the different types of load cells. The most popular type of load cell is actually the strain gauge load cell. This type is considered to be an analog load cell and measures stress and strain on a scale platform. Strain gauges are special types of resisters that are bonded to spring elements. These elements bend when a load is placed on a scale platform. This causes the resistors to stretch varying amounts, which changes their resistance. The resistors are then wired together in a way that a change in resistance actually changes the resistance coming from the resistors (called a Wheatstone Bridge). The voltage signal is then sent along a wire to the digital indicator where an analog to digital converter changes the analog reading to a digital reading. The digital indicator uses that value to display the weight of the object on the scale. One disadvantage to this type of setup is that the voltage that comes from the load cell and through the wire can be subject to different types of interference. That can cause inaccurate readings when the analog to digital converter creates the digital reading. While some manufacturers have elected to place the converter alongside the load cell to eliminate interference, it has helped but not eliminated interference. Arlyn Scales has created a proprietary, internationally patented technology called Surface Acoustic Wave (SAW) technology. SAW load scales do not use strain gauges in any form; rather, they measure displacement as opposed to strain and stress. Solid-state transducers are instead used, where the transducer frequency changes along with the weight on the scale. Since the frequency being measured is already a digital signal, the microprocessor in the digital indicator is able to measure the signal digitally and any interference issues seen with analog digital scales are effectively eliminated. Strain gauge load cells are usually built from thin metal like aluminum, so that they are sensitive enough to generate an accurate weight reading. However, this same thin material is fragile and can be damaged due to over loading or shock loading. Shock loading occurs when a load is dropped from a tall height onto the scale platform and overloading happens when a load beyond a scale’s maximum capacity is placed on the scale. When damage is done to a strain gauge scale, its accuracy must be questioned and the scale must often be taken out of service for costly repairs. This results in time and revenue loss. Therefore, a company loses productivity until a scale replacement can be put back into service. Shock loading and overloading a scale will damage the load cells, and will cause inaccuracy. Arlyn Scales uses stainless steel load cells, which are much less likely to be shock loaded or over loaded then standard aluminum or plated steel load cells. Because our scales are measuring the stress and strain of an object on a scale’s platform as opposed to the displacement, our load cells can be constructed from much thicker metal. This thicker metal allows our load cells to be less vulnerable to common strain gage scale problems like over loading and shock loading and also allows our scales to be much more durable than their strain gage counterparts. In addition, our SAW scales can measure well beyond typical precision accuracy capacities. Normally, a scale with the accuracy capabilities of a SAW scale would be limited to weights of 50 lbs. or even less. This has kept precision measurements only in certain applications such as laboratories, computer industries, pharmaceuticals, paints and a few other similar industries. At Arlyn, our SAW Scales are capable of both high resolution and high accuracy all the way up to 500 lbs. This allows you to have precision accuracy for a wide variety of applications. Combining this high level of accuracy with some of our technology like our set point controller can allow you to store weight values that when reached, send an electrical signal to turn a piece of equipment off or on. Combine this technology with our connectivity options that allow you to store and analyze weight data with a variety of computer applications, and you will quickly see the benefits of using an Ultra Precision SAW Scale. Interested in Learning More About SAW Scales? At Arlyn Scales, we work extremely hard to ensure that our scales are extremely durable and able to withstand even the harshest environments. Our manufacturing facilities are located directly beside our offices in Long Island, New York. This allows us to provide a unique level of service to our customers. Our design, engineering and sales team all located within the same facility. We don’t work with distributors, and we sell direct to our customers to keep their costs down. These savings allow us to deliver the highest quality scale at a price that is less than that offered by many of our competitors. If you’re interested in learning more about what separates our SAW Scales from other forms of technology, like strain gauge scales, don’t hesitate to contact our team today by phone at 800-645-4301 or via email through our contact form.